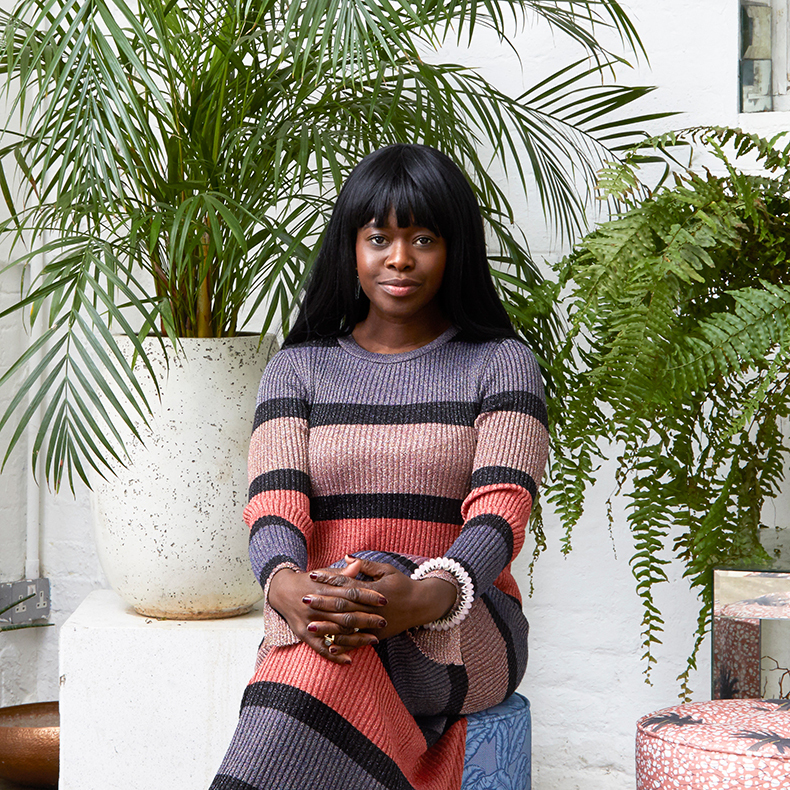 Born and raised in Germany and of Nigerian origin, Eva Sonaike draws from the two distinct influences of African clothing culture and European antique and mid-century furniture traditions to inspire her interior lifestyle designs. skinflint: You graduated with an MA in fashion from the London College of Fashion, what made you want to start an interiors brand instead of going into fashion? ES: I worked in fashion for more than six years before starting my interiors brand. My BA was in journalism, after which I worked as a TV journalist for a couple of years, but I always gravitated more to magazine journalism. After that, I did my MA in Fashion Journalism at LCF, which gave me a great foundation for working in the PR and magazine world. The idea of my interiors business only came to me after working for over 6 years in the glossy magazine world, just after I had my first child. It must be quite a change going from a career in publishing to starting your own business. Do you have any tips for starting up on your own? Initially things started as a little side business alongside my fashion career, but it very soon took off and I knew I wanted to run my own business, so the decision to leave my full-time job, wasn’t difficult. 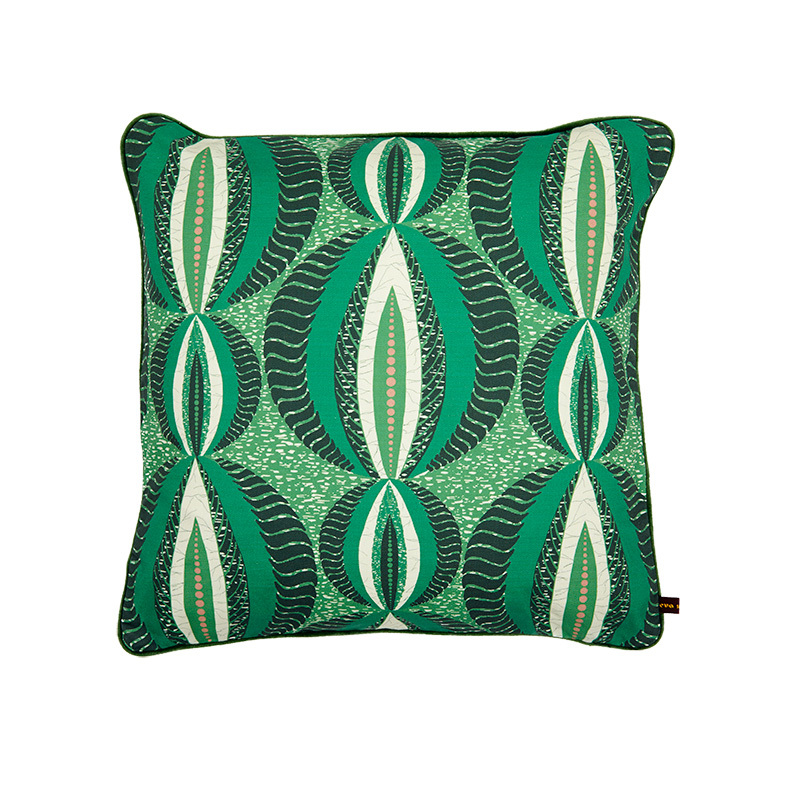 I hardly came across any high-end African design items in my time at the magazines. Yes, there was fashion, but everything I saw in the interior design and home decor market was either very stereotypical ‘Safari’ or non-existent back then. 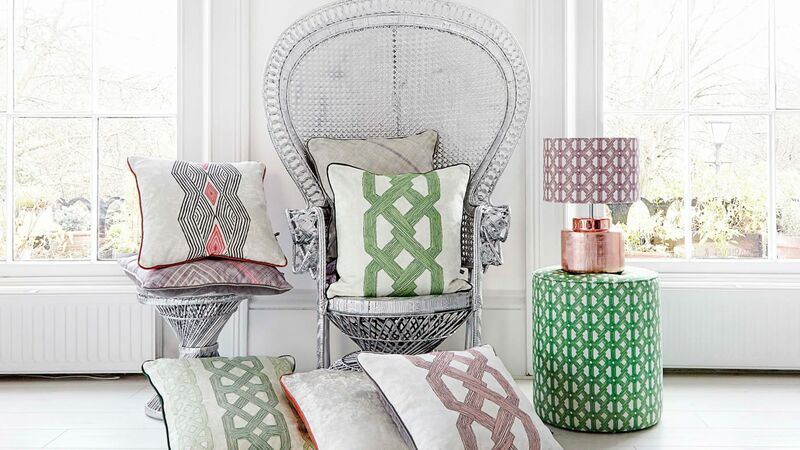 So I saw a gap in the market for a company with luxury African home decor and textiles. I would recommend to really research and know the market before you start your own business. Also understanding the finances and pricing is very important, especially for creative businesses. 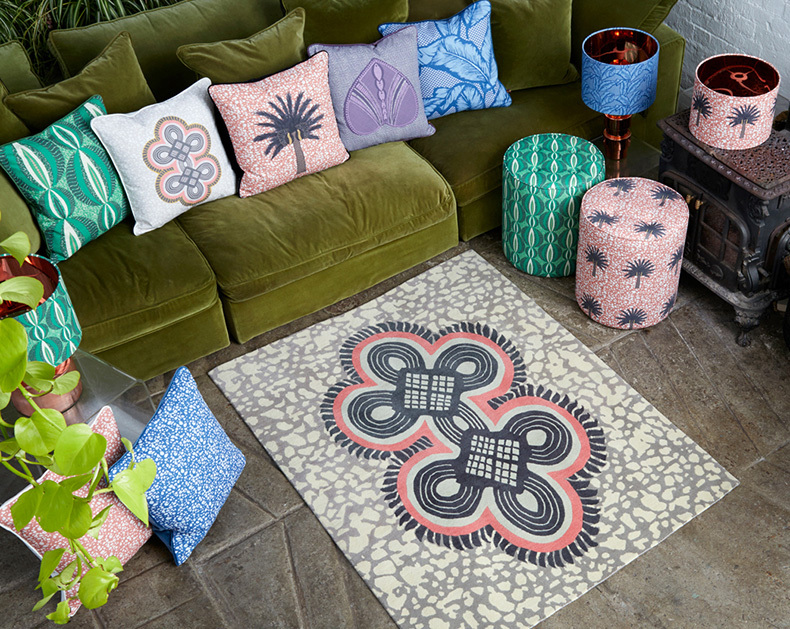 Your collection is a riot of pattern and colour, where do you get your inspiration from? My inspiration comes from all the impressions, colours, patterns and textures I come across in West Africa. I am from Nigeria, but grew up in the South of Germany. The combination of both cultures is reflecting in my collections. People often describe it as African, but different. That’s me and my story. How do you design your patterns? Are they hand drawn or created using a computer? My designs are all hand-drawn and then modified in Photoshop. I always run around with a sketchbook and have my iPhone camera at hand. Unfortunately, the design process takes up the smallest part of my workload, as we are a business and have to work on sales, marketing, finances, you name it in order to stay in the business! Getting colour combinations right is something most people struggle with? How do you ensure your colours work together? Colour has always been my passion. So I think it is something that comes naturally to me. When I design I work on the colour combinations first, before drawing the actual designs. But it takes a lot of time in testing and moving. I use the Pantone colour cards, but also get colour cards from DIY stores and create mood-boards with them. How much of what you design is dictated by trends and do you think trends are still relevant in interiors? I don’t look at trends at all when I am designing - I feel the challenge of a designer is to set trends rather than follow trends. It feels very good when you see your designs in trend forecasting reposts. But when it comes to the finished product, trends come into the equation. It is important to be up to date with the finishing. We used velvet backing and piping for several years now on our cushions and I feel I will have to change this to a fringed edge in the future. That is a very difficult question. I love all my designs because they represent my different stages over the last decade. I can’t say that I have a favourite collection, but some pieces that I absolutely love. For example, the purple Odi design and green Ijoba design are some of my favourites. We’re guessing your home is pretty colourful too! Can you describe your interior style? What are the three things (either work or personal or both) that you couldn’t live without? My family (does this count? ), sunshine and museums/galleries. What’s next for Eva Sonaike? Continue to grow here in the UK and internationally. We recently signed up with a new distributor in South Africa and are growing our showroom spaces in the USA. 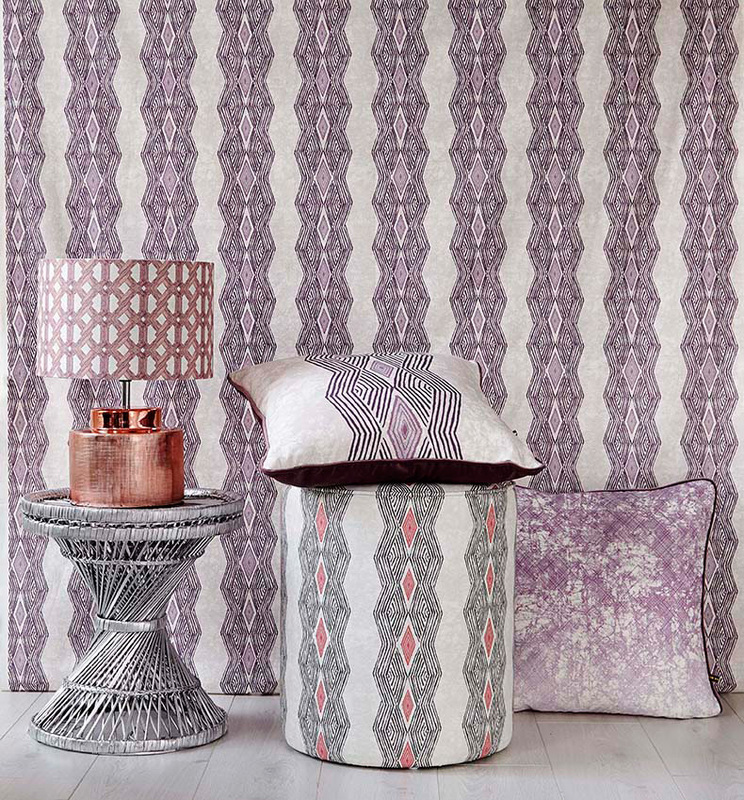 We are planning a wallpaper collection to launch later this year and are looking forward to welcoming new stockists around the world. Onwards and upwards! 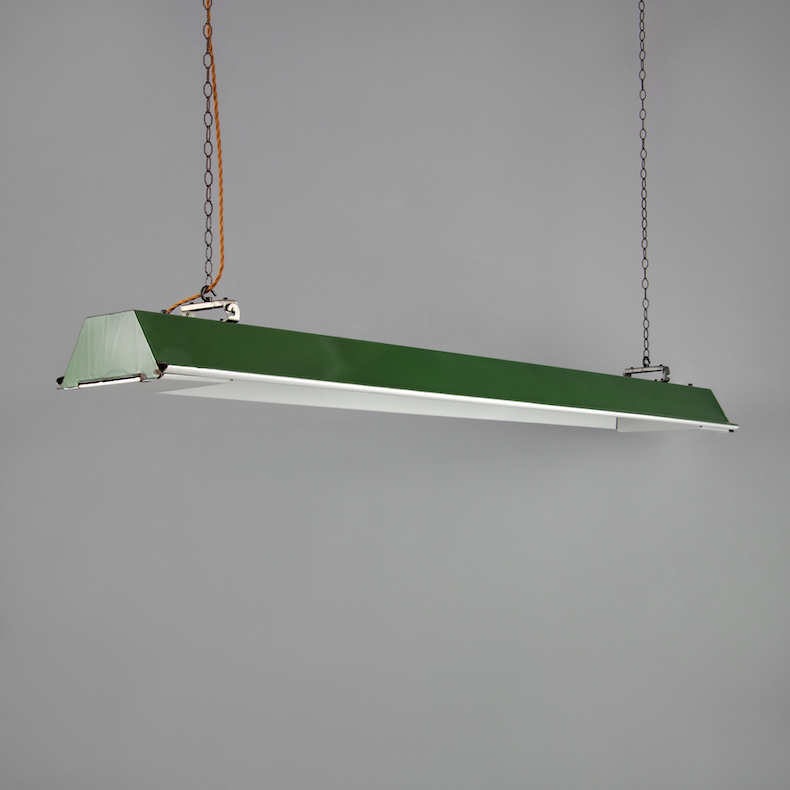 Finally, please choose three vintage lights from the skinflint collection and tell us why you like them and why? I love the round shape and texture about this ceiling light. The glass reminds me of a decanter so this would look great over the bar cart in our living room. 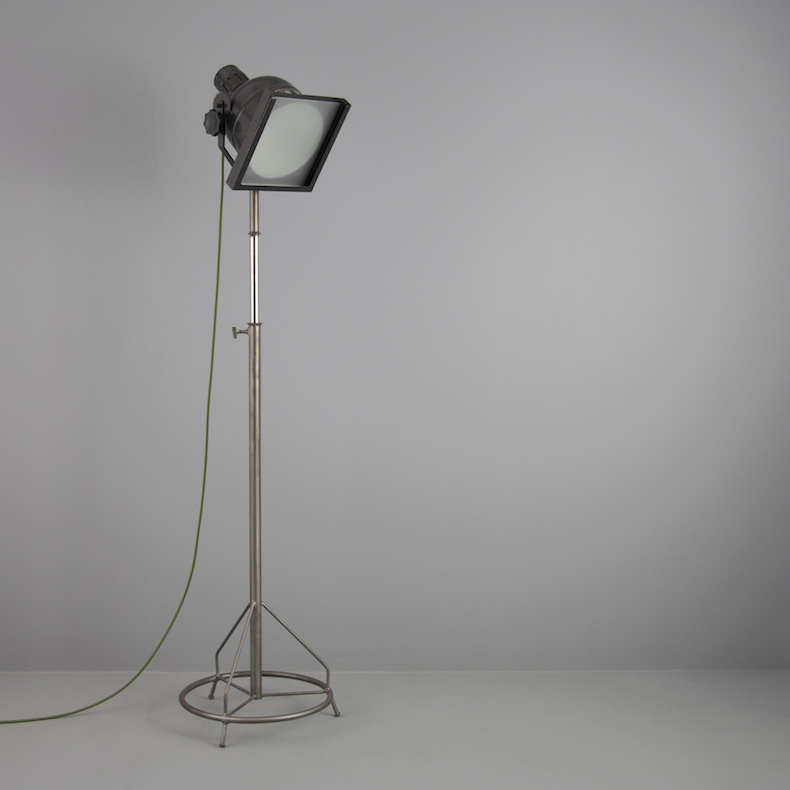 I love the style of this light. My father used to have a light like this in his workspace. I could picture this in my studio over our large desk, where we work on mood boards and designs. How amazing is this! 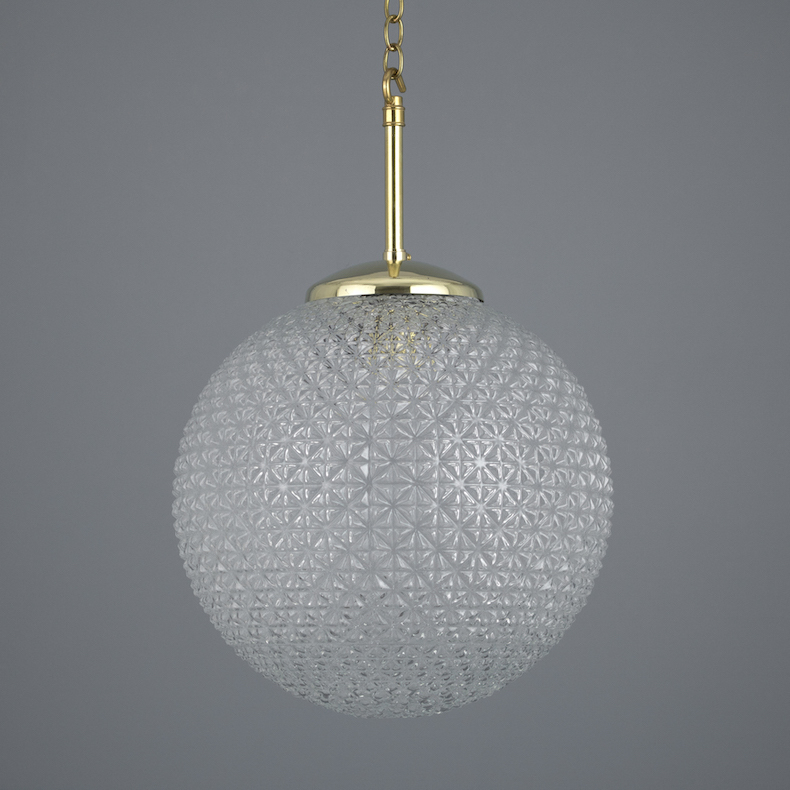 I love the round base with the three legs and that the height is adjustable. This would look great in a photo shoot with my products.